It’s been less than 24 hours since Adidas officially introduced us all to the boot designed to let chaos reign on soccer pitches the globe over with the release of the X15. While the X15 wasn’t the only silo that Adidas released today it was the silo which will find its way onto the feet of people like Luis Suarez who are known for scoring goals and in a way creating order from the chaos, it’s also the silo which was designed to replace the now retired adiZero F50. So, join us while we channel our inner Douglas Adams, pick up our towel and embark on a Hitchhikers Guide to the Adidas X15. Get ready to see this boot everywhere! Adidas are embracing a collared boot. Although radically different from the collar utilized by the competition it seems there is definitely something positive in a collar of any size. The X15.1 features several technical innovations which all feature the letter X. There’s the reinforced X-Cage designed to keep the balance between a lightweight boot and one which offers the support a player needs on the pitch. The boot also features the X-skin synthetic upper which offers up a veritable triple threat of softness, fit, and ball grip, as the upper is the beneficiary of a treatment known as Non-Stop Grip (NSG) which aids ball control regardless of weather conditions. When it comes to traction you have the X-CLAW system sitting on the exoframe soleplate which is designed to offer grip on either artificial or firm ground pitches. Retail: You can pre-order the X15.1 which is scheduled to ship in early July for $219.99. While players like Luis Suarez and Alvaro Morata will be strutting about the Olympiastadion in Berlin wearing the collared version of the X15.1. There’ll be large market of players globally who will be happy to know that Adidas has also released a second top tier option for the X15.1, an option featuring a K-Leather upper in the forefoot of the boot. The X15.1 Leather features many of the same innovations as the X15.1 such as the interior X-Cage technology to aid with support, and the exact same X-CLAW stud system on the exoframe soleplate. 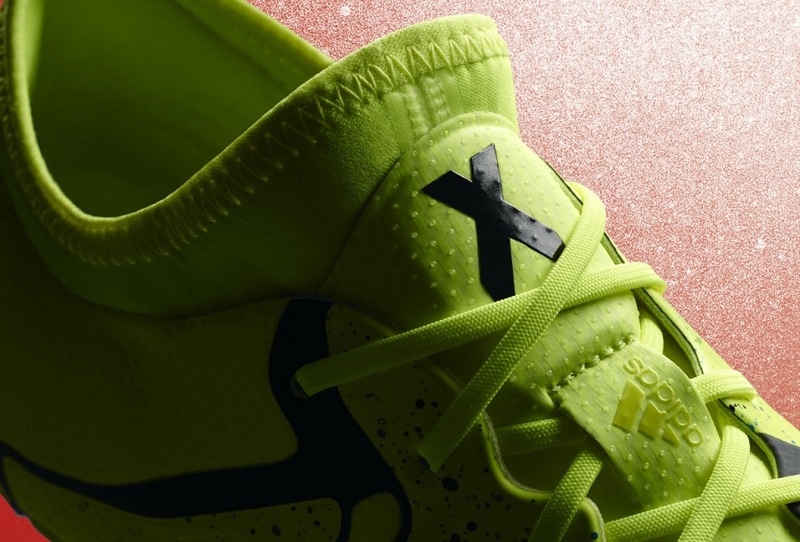 The K-Leather version of the X15.1 dispenses with the collar, which leaves me predicting that wearers will get a feeling closer to what they’ve come to expect from the recently retired adiZero F50 silo. Also one should note that the X15.1 Leather does come in at a slightly heavier 8.1oz than it’s synthetic sibling. Retail: The X15.1 Leather is available for the same price of $219.99 as the standard X15.1 and will also be shipping in early July. Usually when the take down model of a boot is mentioned the first question is, what’s missing from the top tier release? The X15.2’s first question is what’s still included? The answer is the Techfit collar which is designed to offer a compression fit around the ankle. This makes the X15.2 a leading mid tier option for all players. 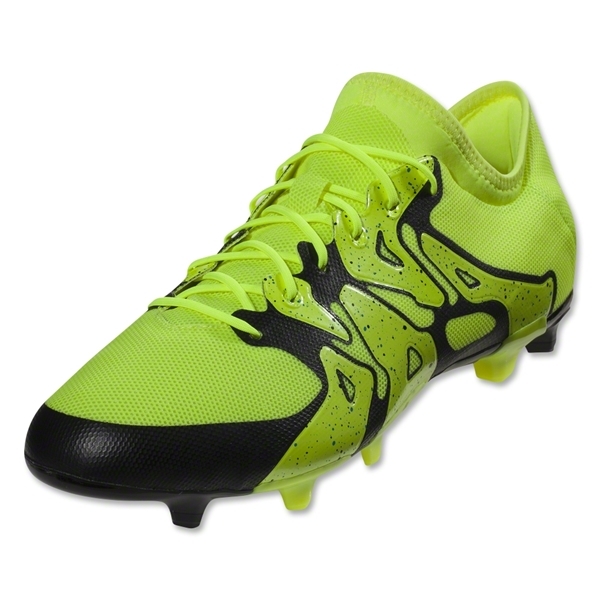 The X15.2 also includes the same soleplate and stud layout as the X15.1. The difference between the top and 2nd tier lies in the upper. 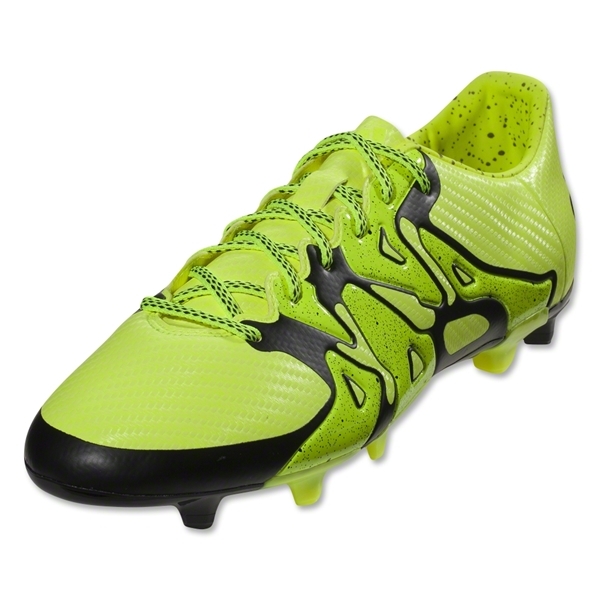 The X15.2 features the eXoskin synthetic upper which is designed with softness and fit in mind, what it is missing is the NSG treatment, so it’ll be interesting to see how that affects the boot in play. Traditionally, Adidas’ mid-tier offerings have at the most polite been described as shocking (Nitrocharge 2.0 excluded), so the mid-tier releases are going to be an interesting follow to see if Adidas have worked the Gremlins out, and now offer a mid-tier range worthy of the price. Retail: Much like the top tier releases the X15.2 is available for pre-order with a predicted ship date of early July. Unlike the top tier X15 releases the X15.2 is available for $109.99. The entry level boot of the X15 silo, it’s a boot which will find a home among recreational players who don’t want to spend over $75 for a pair of boots but still want to buy something which resembles the latest style of boots. There’s none of the fancy technology in the upper, it’s just a standard synthetic upper. However, that said it does feature the same FG/AG specific soleplate and stud configuration as the entire silo, which is a new and welcome change from Adidas, as so often the entry level boot get’s any old soleplate thrown onto it. Retail: The X15.3 is available for pre-order for a retail price of $69.99. So that concludes the breakdown of the X15 series you can find the entire range here, which also includes a few indoor and turf options that weren’t covered in the post given that we’re currently into the outdoor season here in North America. What are your thoughts on the new X15 series? Have you put in an order yet? Leave us a comment down below. So…. What will be Messi wearing? I would bank on Messi either wearing his current release for the next little while, or Adidas bringing out a Messi specific release on the new X soleplate. But don’t quote me 100% on that, it’s just a hunch since the X marketing has focused more around players like Bale and Suarez. Messi's got a signature shoe in the pipes that will be its own range. Think it's called Messi 15.1? Love the collar cut, looks like it will fit so comfortable around the ankle. Anyone know how they fit size wise yet? Im just not feeling it on this release. To get rid of workhorse/beloved boots like the predator and adizeros is hard to understand. I think this new line coupled with Nike's new boots will see the edge go to Nike. Perhaps this is a marketing stunt only for the previous range to come back again later. These will almost certainly still be excellent boots to wear but they just seem like a missed opportunity. From what I know, Messi will have his own silo. His silo would be more similar to the current f50, with dimpled forefoot and “caged” heel. We can always Google the images of them, in my country the indoor Boost version of adidas X and Messi’s silo have already circulating. Adidas are embracing the new age. What they need to realize is that they need a heritage boot. Since all us children of the 90s are growing up, their heritage boot is now the Predator! Hence they should keep releasing high quality, k-leather preds in red/ black. 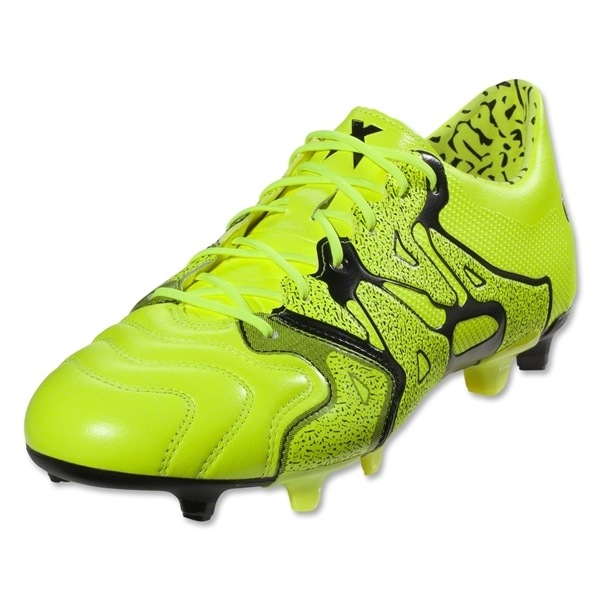 The predator mania or pulse should be the new copa mundial. People will buy these by the boatload. Give the people what they want, top quality k leather preds. Its almost like Adidas WANTS Nike to win. I'm sure there will be a return to the classic Red/Black colors. In there defense, they have released leather versions of both new silos and the x15.1 Leather could be useful in a blackout colorway! Absolutely gutted. The company that laced up Zidane and Messi is putting out cleats like this. Ugly, garish, cheap gimmicks and worst of all putting an end to iconic silos like the predator and f50. Gutted? Really? Over soccer shoes? Wait until you've tried these or at least read impressions before making up your mind. This is only the launch colorway. The inevitable blackouts and upcoming blue colorways look slick. Also if this release leaves you "gutted," you really need to make some changes in your life… just sayin. Yeah what the heck are adidas up to? Why retire boots that people loved. There is nothing about these that is new our special so why change the naming and anger fans? The predator is a boot I’ve worn, been happy with and want to continue wearing, but now that option has been taken away from me. Its total bull.